Looks like there’s a Storm rolling in to Northern Kentucky. 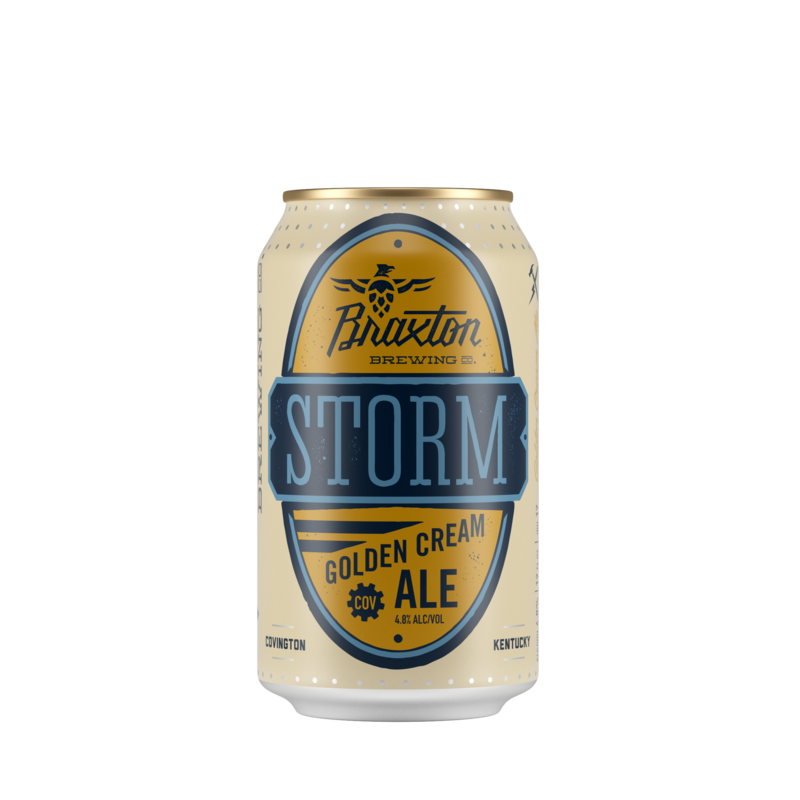 Covington’s Braxton Brewing Company announced that Storm, the brewery’s golden cream ale, will be available in cans at local retailers starting November 16 (at at their taproom the next day). Storm was the first beer that Evan Rouse, Braxton’s head brewer, ever created. The recipe has been tweaked along the way, but Storm is the most popular beer at Braxton’s tap room, and it won a silver medal at the 2015 Alltech Commonwealth Cup. Referred to as a “lawnmower beer” (meaning, an ice cold can of Storm will really hit the spot after a hot afternoon of yard work), Storm is light and clean, with low bitterness and a low ABV. The packaging, like the rest of Braxton’s identity, was created by Keith Neltner of Neltner Small Batch, a small design studio based in Campbell County. Neltner has an affinity for beer-based businesses: He’s the designer behind Half Cut, the ArtWorks brewery district mural, and Michigan-based Bitter Old Fecker. 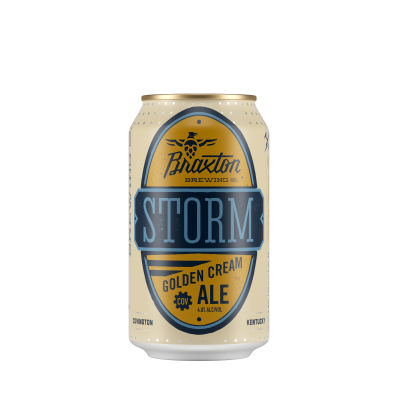 For more about Storm, visit the Braxton Brewing Company website.